Application fee waived for attendees. All your questions answered by the professionals. College juniors and seniors considering or preparing for graduate studies. Recent graduates just entering their professions who want to move up fast. Seasoned professionals who are ready to take their careers to the next level. Graduates who want to pursue doctoral studies in their field. 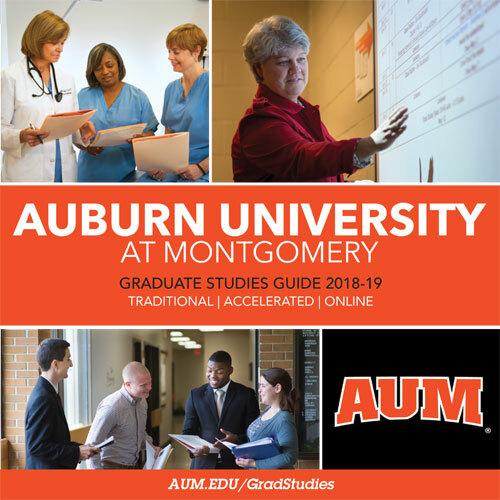 For a preview of the preview, just visit aum.edu/GradStudies. Need directions to campus? Visit aum.edu/Maps. We hope to see you on April 30th! Please let us know if you would like more information about the event. You can fill out the form below or email graduateadmissions@aum.edu. I plan to join you on April 30 | 5-7 p.m. I can't join you, but I'd like more information.